We would like to welcome you and your child to the Home Away From Home Academy family. We are pleased to have this opportunity to introduce you and your child to the finest program available in early childhood education. Our curriculum covers a wide variety of topics, which are chosen to ignite the curiosity of our students, and develop their emerging intellectual, social and motor skills. By respecting and being responsive to the intellectual, social, emotional, and physical needs of your child, the teacher is able to create an atmosphere, which prizes creativity and individuality and promotes a true enthusiasm for the process of discovery. By keeping our class sizes in accordance with the guidelines mandated by The Office of Licensing and the teacher to student ratio low, we are able to provide your child with positive student-teacher interaction and the opportunity to develop productive peer relationships. The educational materials which are chosen to outfit the classrooms, are tailored with your child’s individual emotional, social, cognitive, and physical growth in mind. The physical facilities are clean and well maintained. 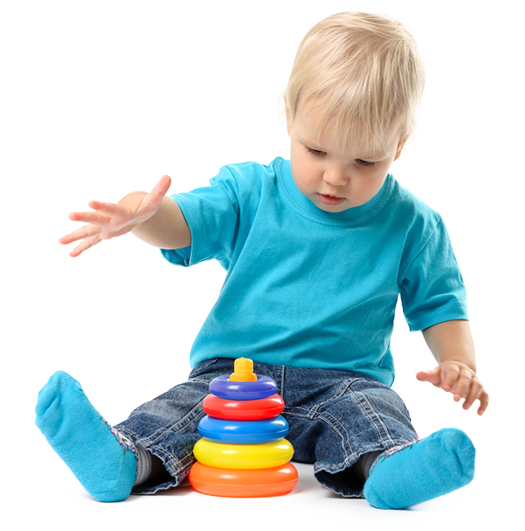 All toys and equipment are disinfected on a regular basis to ensure your child’s health and safety. When it comes to the Health and Welfare of your child, Home Away From Home Academy is at the forefront of prevention strategy. Our school, which is accredited by the Middle States Commission on Elementary Schools (Middle States Accreditation team) and licensed by the state of New Jersey Division of Youth and Family Services, henceforth, called The Office of Licensing requires us to maintain and strictly enforce policies pertaining to the dispensation of medication to children and the management of communicable diseases. The daily disinfecting process of toys, garments, table tops, cribs and other objects located in the school. Our notice to you on any communicable diseases that may occur in the school. Parental Involvement is the key to your child’s successful educational experience. We are committed to supporting the unequaled bond that you share with your child in his or her development. We welcome your input and encourage your involvement in your child’s formal education at Home Away From Home Academy.